Over the past 20 years Steve has held a number of senior HR positions both within the UK and Australia. Steve graduated from Middlesex University with a degree in Hotel & Restaurant Management in 1996; after spending the summer working in Atlanta for the 1996 Olympics Steve joined the fast track Graduate Scheme with Thistle Hotels and undertook his first HR position in 1997 where he relaunched 2 Thistle properties. Steve joined the pre-opening team of the Great Eastern Hotel as HR Manager which was the first of 5 hotel openings he has been involved in. In 2003 Steve headed up the HR team and opening of City Inn Westminster, which in 2005 won the Cateys coveted Hotel of the year. Following on from this Steve was involved in the opening of City Inn Manchester and undertook a Group project role which saw the development of LMS and e-learning system. In 2008 Steve left the UK for Australia and joined Voyages who at the time operated 21 resorts across Australia. Working initially out of the Cairns office Steve supported 11 of the Island resorts and luxury signature brand with HR & Talent Resourcing. After the sale of a number of resorts Steve took up a second position as the Regional HR Talent Manager for the Ayers Rock resort which consists of 5 hotels; during this time the resorts became part of Accor. Returning to the UK in 2012 Steve joined hotel opening number 4 with the Café Royal which opened in December 2012, over the past 6 years Steve has supported the development of the business and people agenda having implemented many of the original people systems, policies and procedures along with the original team which over half still remain. 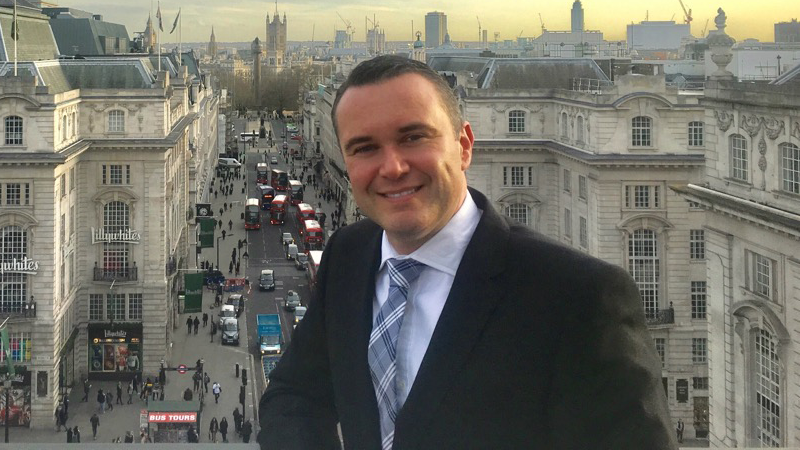 A self-confessed opening junkie, Steve moved on to hotel opening number 5 and has recently joined the US hotel company The Standard Hotels as HR Director as they open their first hotel outside the USA in London in early 2019. You simply cannot beat the Hospitality industry for the range of opportunities that it gives to people. It becomes a melting pot of different cultures, backgrounds and ages making it one of the most diverse industries you can work within. The industry offers graduates and those working in operational roles the opportunity to develop quickly into senior or specialist roles; and like I did work internationally with options to relocate and transfer to exciting destinations. Over the many years, I have worked in HR in the hospitality industry I have had the pleasure to meet many lifelong friends and see the careers of those I have recruited develop and flourish. Being part of the HR in Hospitality committee for the past 3½ years has allowed me to support a fantastic association that fosters HR relationships throughout our industry and beyond.